Cocker Spaniel Puppies. Cocker Spaniel Puppies. HD Wallpaper and background images in the Puppies club tagged: cute puppy. 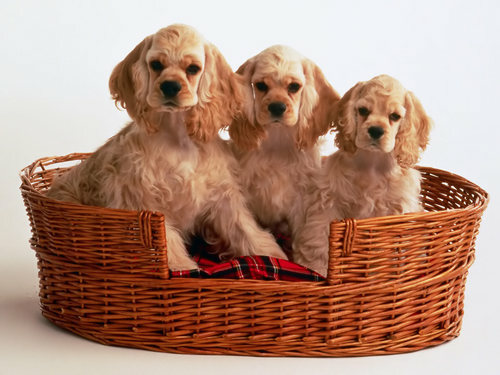 This Puppies wallpaper might contain cocker spaniel, english cocker spaniel, cocker, basket, handbasket, and wicker basket.